At Roche’s Pedigree German Shepherds, we have a passion for offering top-of-the-line German Shepherd puppies to families and individuals. It’s our calling here. Another service we offer, however, is that of German Shepherd stud services. We know what it takes to produce excellent German Shepherd puppies, and our standing at stud dog Max von den Warsteiner Quellen is the golden ticket to an exceptional litter of German Shepherd puppies. Max is a grandson of two time VA 1 Remo von Fitchtenschlag and two time VA 1 Gina Vom Aquuamarin. As such, Max is incredibly athletic with a large head and is big boned. He’s the best German Shepherd stud dog you’ll find in the area, and with a pedigree boasting a grandfather like two time VA 1 Remo von Fitchtenschlag, it’s easy to see why. If you’re looking for German Shepherd stud services in Wisconsin, Minnesota, or northern Illinois, look no further than our stud dog, Max. Aside from his excellent pedigree, Max has also proven himself by producing German Shepherd puppies of exceptional quality. These puppies consistently offer beautiful structure and color along with incredible disposition and temperament. We expect no less from our litters, but Max delivers above and beyond expectations at every turn. We don’t take the health of our dogs lightly here: Max is vet checked on a regular basis for general health and also undergoes a routine sperm count and quality check. His most recent check came back at 96% motility, giving him exceptional breeding potential. Max is also IPO 1. You can review his pedigree here or call us at Roche’s to discuss his bloodlines or disposition in more detail. 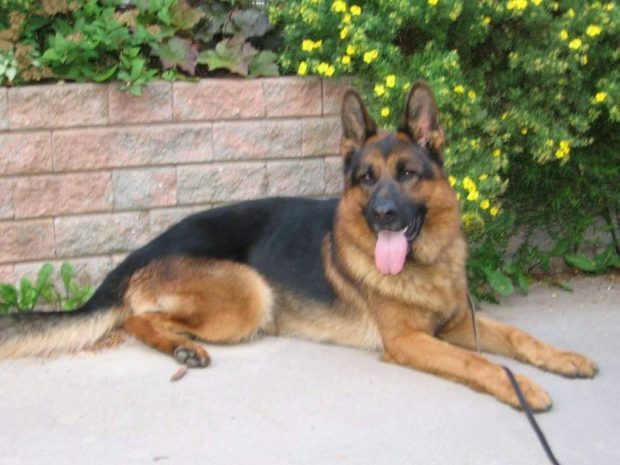 We are always happy to communicate with you in regards to our German Shepherd stud services. Contact us today to discuss our German Shepherd stud services and to learn more about our standing at stud dog, Max!